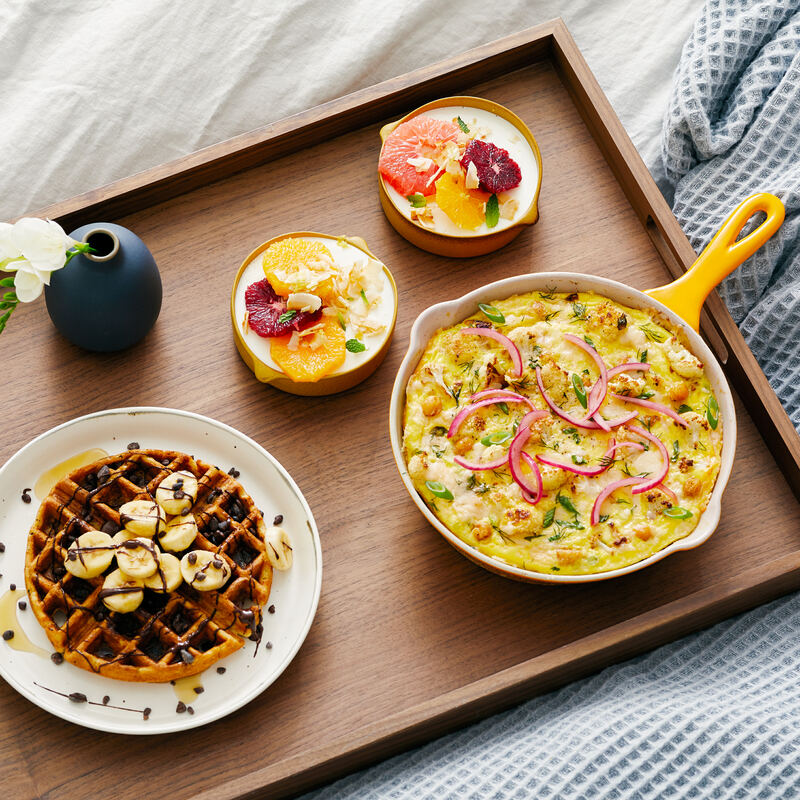 Fresh herbs and pickled onion elevate this breakfast classic. Cauliflower, chickpeas, and eggs come together in this savory frittata which is high in protein and fiber. 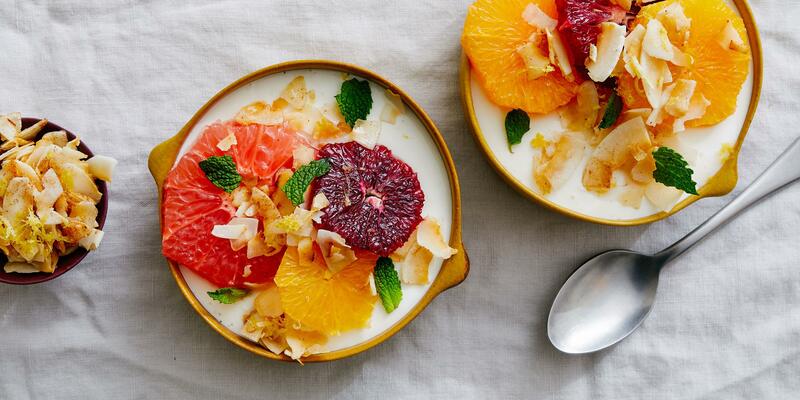 “Starting the morning off with a dish like this will help balance your blood sugar and keep you full,” says New York City–based recipe developer Laura Rege. Sliced red onion gets pickled in red wine vinegar for a bold garnish that adds zingy flavor and crunch. Frittata can be served hot or at room temperature, says Rege, so feel free to make this meal in advance. Preheat the oven to 425 degrees F. In a small bowl, combine the onion, red wine vinegar, a pinch of salt, and 2 tablespoons warm water. Set aside to pickle until serving. On a baking sheet, toss the cauliflower with 1 tablespoon olive oil and season with salt and pepper. Roast until golden, tossing halfway through, about 18 minutes. Meanwhile, in a medium bowl, whisk the eggs and milk with ¼ teaspoon salt and ¼ teaspoon pepper. 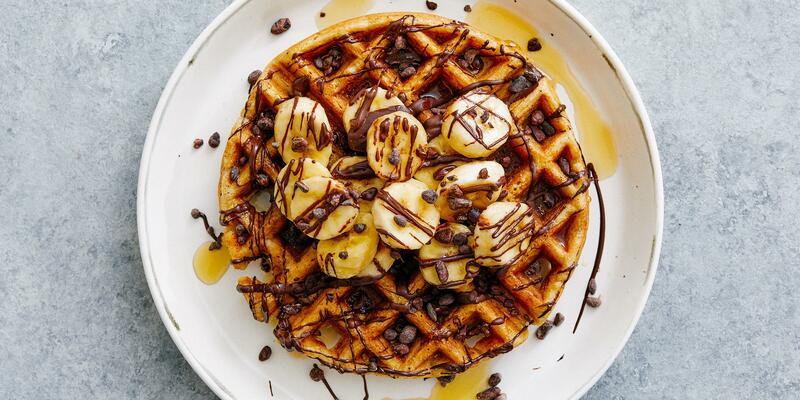 Melt the butter in an 8-inch cast iron pan or oven-safe nonstick skillet over medium-high heat. Add the chickpeas and most of the scallions (reserving a small amount for garnish) and cook, stirring, until both are lightly golden in spots, about 4 minutes. If the cauliflower has not yet roasted fully, set pan aside off-heat until cauliflower is finished. Then, add the cauliflower, most of the herbs (reserving a small amount for garnish), and egg mixture to the pan over medium-high heat. Cook, stirring with a spatula to create large curds, until eggs are wet on top but otherwise set, 1 to 2 minutes. Transfer pan to oven and bake until frittata is puffed up and the eggs are just set on top, about 8 minutes. Let sit 5 minutes before serving. When ready to serve, drain the red onion. 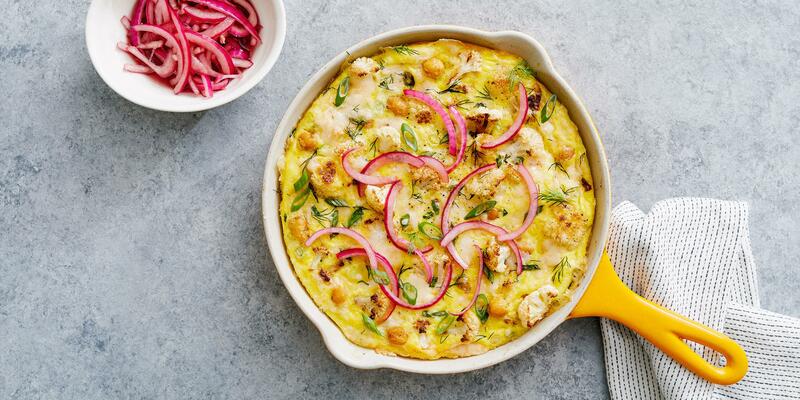 Top the frittata with Parmesan, reserved herbs and scallions, and pickled red onion.